A cranberry juice UTI remedy has been shown to lower the number of bacteria in your urine, and less bacteria means a lower chance of infections and the related symptoms. This is caused in part because the juice increases the acidity of your urine so bacteria can not thrive as well. Cranberry juice is one of the diuretic foods you can use to help eliminate excess water in your body, while promoting good kidney and urinary tract health and function. Cranberries also have vitamins and other beneficial nutrients, so they can be a good addition to your diet. Cranberry juice UTI remedies do have some drawbacks though. To be really effective you must drink many glasses of cranberry juice each day. This drink has a lot of sugar and calories in it, so if you are trying to watch your weight or you have medical problems such as diabetes this remedy may be harmful instead. Urinary inconsistency can also be treated with cranberry juice in certain circumstances. If your inconsistency is caused by an infection then this treatment may eliminate the underlying cause, so you can fully relieve your bladder and urinary tract every time. Cranberry UTI treatment can help if you have one of these infections, but this method is not right for everyone. If you have diabetes or any other medical conditions do not use this home remedy without consulting your doctor. 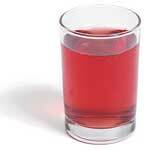 Cranberry juice should only be used for a few days before seeking medical attention if your symptoms do not go away.